Here are some illustrations by myself and others, dealing with the Fibonacci sequence and the Golden Number, Phi. A few months ago, I noticed the exponents of Phi encode the Fibonacci sequence. The sequence gets closer to the golden number the larger the numbers get. This will work with any two starting numbers, like say 91 and 432, for example. You’ll find the same ratio emerge if you keep adding them together. (91+432 = 523, then, 432+523=955, etc) Already we are at 1.8 to 1. (955/523) A handful more steps and we’ll have Phi to more than 99.999% accuracy. 𝄞 If you had a million phalanges, your hand would look like King Midas. Jain108 made a post on how, if you start with 2 and 10, you arrive at the actual numbers found in the exponents of Phi. Remember exponents are simply the number multiplied by itself n number of times. Phi cubed, or Phi to the third power, is just Phi x Phi x Phi. (1.618 x 1.618 x 1.618 = 4.236) See that was easy, now stop complaining how you’re bad at math. Phi to the negative power is the same as saying, one divided by the Phi cubed, or whatever. Here’s some different ways to say the same thing. Sam Kutler found the golden number in concentric circles. The outer ring shows the 24 digit pattern(digital roots), the inner the 60 digit pattern(last number). Lucien Khan rediscovered the 60 digit repeat pattern. If you divide 1 by 999,999,999,999,999,999,999,999,999,999,999,999,999,999,999,999 (that’s 999 quattuordecillion), the Fibonacci sequence pops out. Like I said, you can start a Fibonacci sequence with any two numbers. If you begin with the numbers 1-9, some interesting things happen. See how the numbers match up? back to the 60 digit pattern…. Is it just me or is Colorado’s state seal illuminaty as all hell? Don’t even go to Denver International Airport. I did an article on Decoding the Dollar, and found the leaves on the left side of the buck encode the fib seq. with 2,3,5,8. The name ‘Fi-Bonacci'(Man of cheer) comes from Leonardo’s old man who could always make the town laugh. I talk about this more here.. This is the number and sequence of numbers that God choose to use to structure all life and creation. fibonacci fun, golden phi number, joe dubs phi, joedubs phibonacci, Leonardo de pisa fibonacci, phi fibonacci, phi golden number, Phibonacci. Bookmark. Interesting pickup with the exponents of Phi within the first three decimal places (ie, some relationship to a 1000 divisor with only a very small offset). 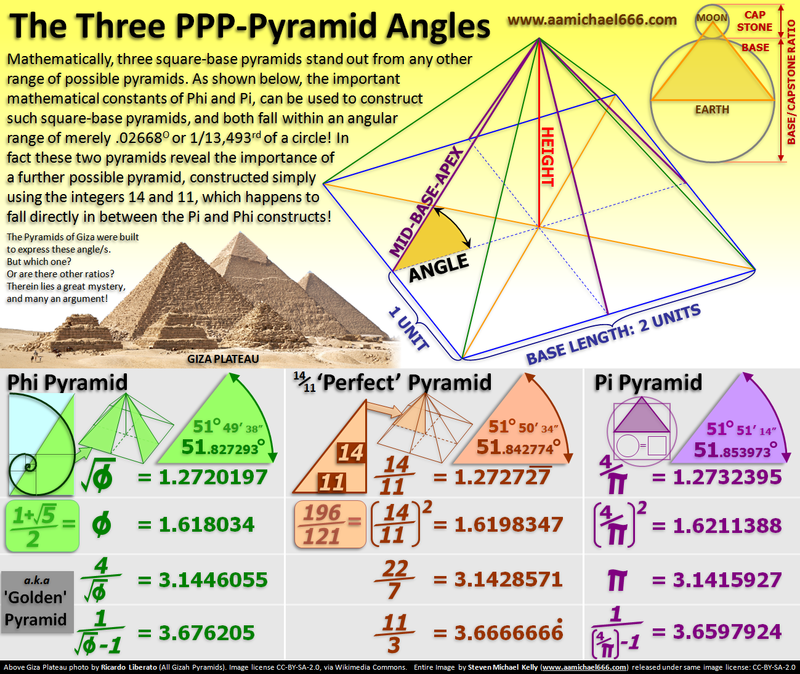 … these three pyramid designs fall in a range which is only 1/37th of a degree in total slope variance.